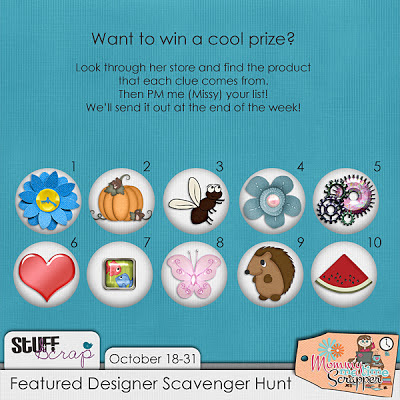 Join us for another Featured Designer Scavenger Hunt at Stuff to Scrap. Our Featured Designer through October 31st is Mommy Me Time Scrapper. This hunt you are playing for Paws, Tails, and Licks Papers Stackers by Mommy Me Time Scrapper. Great prize huh? So how does this work?